This is the gift you’ve been waiting for. Elizabeth Arden’s biggest, most beautiful holiday collection– Elizabeth Arden Holiday Blockbuster 2018 available now for USA, UK and CA! Elizabeth Arden Sparkle On Holiday Collection Or Elizabeth Arden Holiday Blockbuster 2018 $129.50 – worth Worth £292 available now at Beauty Expert US & CA! UPDATE 10/7: Stage Stores (NEW) Elizabeth Arden Holiday Blockbuster 2018 Purchase with Purchase USA $67 (A $389 Value). The USA version has a Full-size Superstart Skin Renewal Booster (image above)! This post may contain affiliate links. Read the full disclosure. Top 3 amazing gift with purchase and Mother’s Day tote/beauty box from Lancome, Estee Lauder and Elizabeth Arden are available now for Mother’s Day 2018! Elizabeth Arden Prevage Tote (Upcoming) Summer 2018 Elizabeth Arden 7-pc. Prevage Tote Set Purchase with Purchase $35 – worth $106. This post may contain affiliate links. Read the full disclosure. Lancome and Elizabeth Arden gift with purchase are available now at Boscov’s and Elizabeth Arden USA. 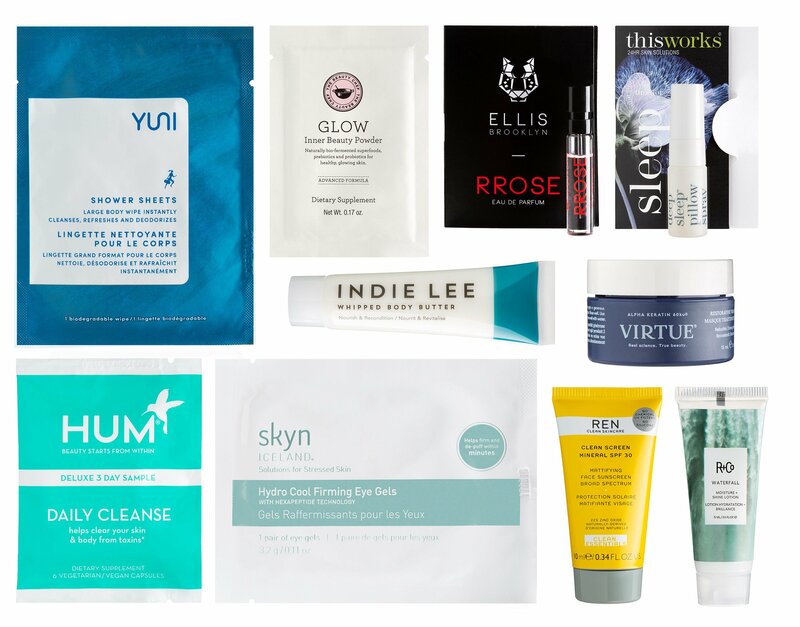 Plus, there are new offers includes Tao Clean System $39, Laura Geller flash sale 50% off everything, Latest in Beauty Box pick 6 from 60 item for 25, 4pc Estee Lauder PWP $10 and $30 bonus buy worth $200 at Macy’s and more. They are such a good Mother’s Day Gift! Tao (NEW) Tao aura clean orbital facial brush and cleaning station $39 (reg$129) use code TODAYCLEAN. Shipping is $9.99. GMA said it’s $129. I find this product at Barneys for $79. Kind of R2-D2 hah? This post may contain affiliate links. Read the full disclosure. Here’s the hot spring beauty boxes and purchase with purchase set from Revolve, Sulwhasoo, Elizabeth Arden Spring Purchase with purchase 2018. Don’t forget to check: Lancome Beauty Box 2018, Estee Lauder Mother’s Day Purchase with purchase 2018 and Clinique Spring set 2018 (post). Plus, a round-up for new gift with purchase offers! Revolve (NEW) REVOLVE x LPA Beauty and the Booze Box $150. $332 retail value. This post may contain affiliate links. Read the full disclosure.